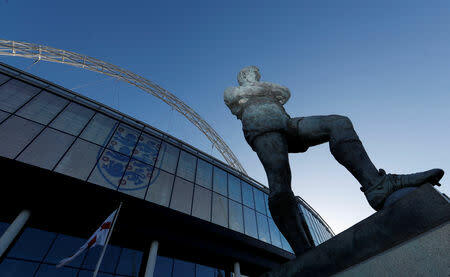 (Reuters) - England's Football Association's plans to sell Wembley Stadium and invest around £600 million into grassroots facilities and projects were in tatters on Wednesday after potential purchaser, American Shahid Khan, withdrew his offer. 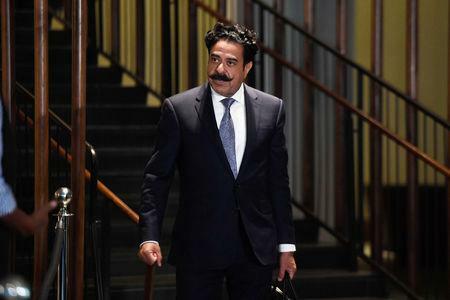 The billionaire owner of the NFL (National Football League) club Jacksonville Jaguars made his offer public in April and the proposed sale had been discussed by the FA's Board with the full FA Council to have voted on the matter on Oct. 24. However, the outcome was in doubt with the sale of the iconic national stadium dividing opinion. "At a recent meeting with Mr Khan he expressed to us that, without stronger support from within the game, his offer is being seen as more divisive than it was anticipated to be and has decided to withdraw his proposal," FA chief executive Martin Glenn said in a statement. "There has been much deliberation on both sides of this debate and it has undoubtedly raised awareness of the issue that community football facilities in England need significant investment." "We will continue to work together to identify new and innovative ways of investing in community football facilities in the future," added Glenn. Khan, who also owns English Premier League club Fulham, said his offer had not received the backing he had hoped for. "At this moment, following last week's FA Council hearing, it appears there is no definitive mandate to sell Wembley and my current proposal, subsequently, would earn the backing of only a slim majority of the FA Council, well short of the conclusive margin that the FA Chairman has required," Khan said in a statement. "The intent of my efforts was, and is, to do right by everyone in a manner that strengthens the English game and brings people together, not divides them," he added. There had been opposition to the sale from within the game with some critics questioning the wisdom of surrendering ownership of the national stadium and others sceptical of the future investments in the game. 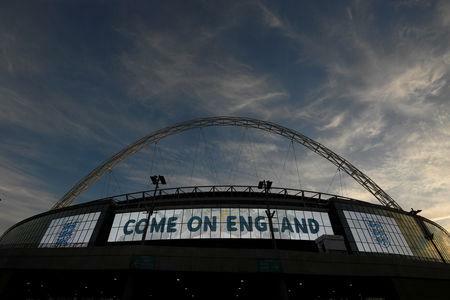 "Unfortunately, given where we are today, I've concluded that the outcome of a vote next week would be far from sufficient in expressing the broad support favoured by the FA Chairman to sell Wembley Stadium," Khan said. However Khan left the door open, should his idea win broader backing. "I recognise the passion many people have for Wembley and what it means to English football, and will be willing to re-engage with the FA on this matter under proper circumstances." The new Wembley Stadium opened in 2007 on the site of the original venue and cost around £750 million to build. Under the plan, Wembley would have remained the home to major football matches such as the FA Cup final and would also have been available to England for internationals -- outside of autumn when it could have been used for NFL games.